This morning we saw two positive housing data points.Home prices increased at their fastest pace since July 2006, and new home sales data showed that housing supply continues to be tight. And tight housing supply is expected to push home prices higher this year. 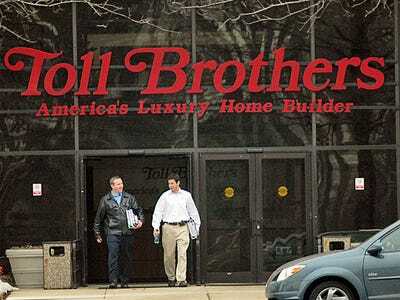 Toll Brothers is up 3 per cent. DR Horton America’s largest homebuilder is up 3.5 per cent. Beazer Homes is up 2.3 per cent. PulteGroup is up 4.5 per cent. Lennar Corp is up nearly 3 per cent. Standard Pacific Corp which builds single-family attached and detached homes is up nearly 7 per cent. Homebuilder ETFs ITB and XHB are also up today.